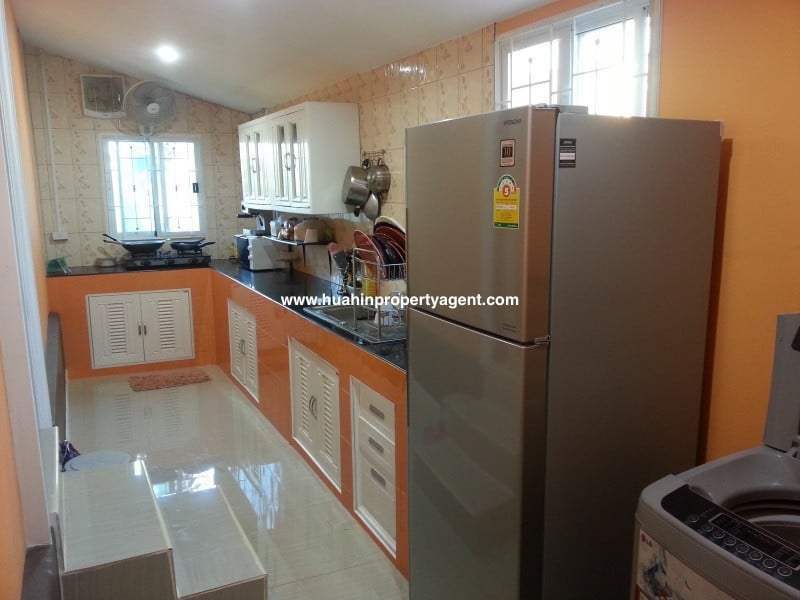 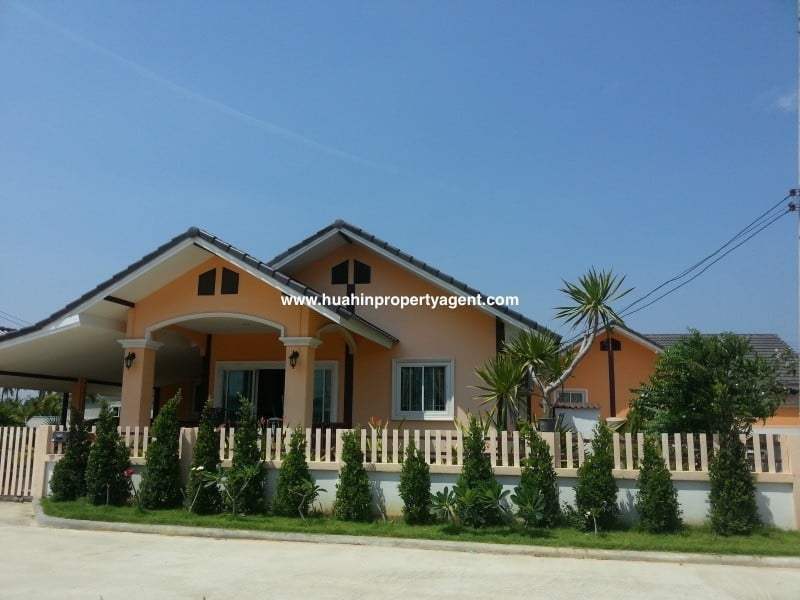 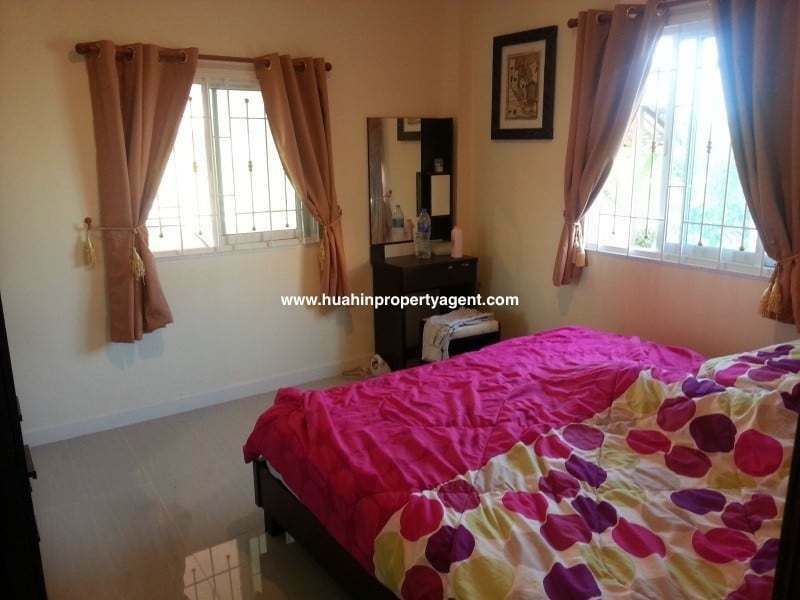 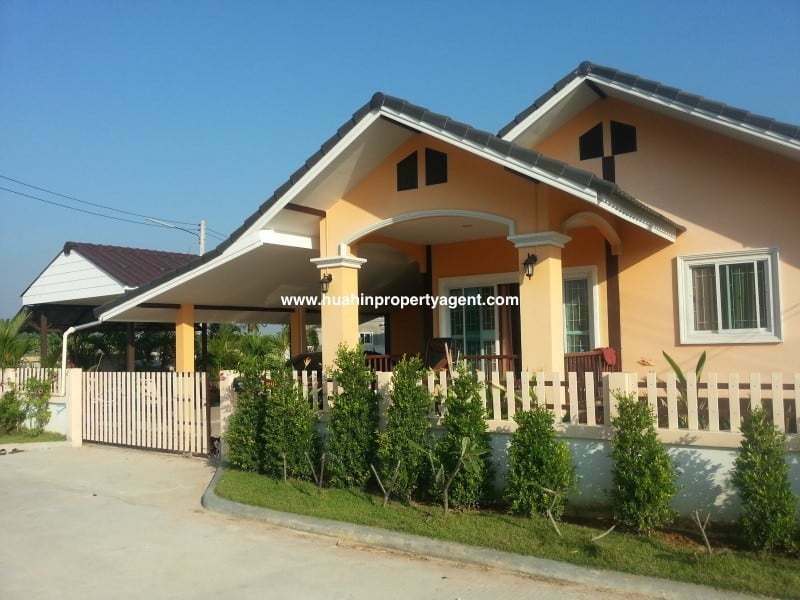 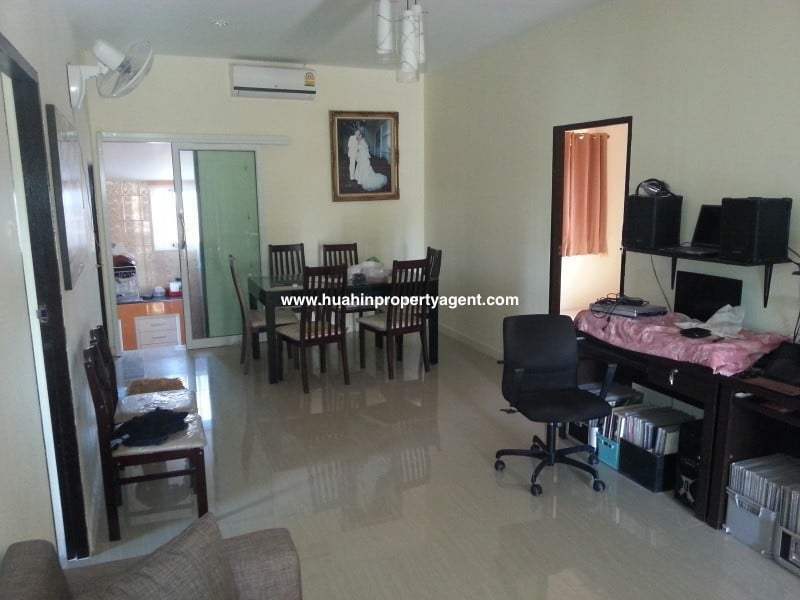 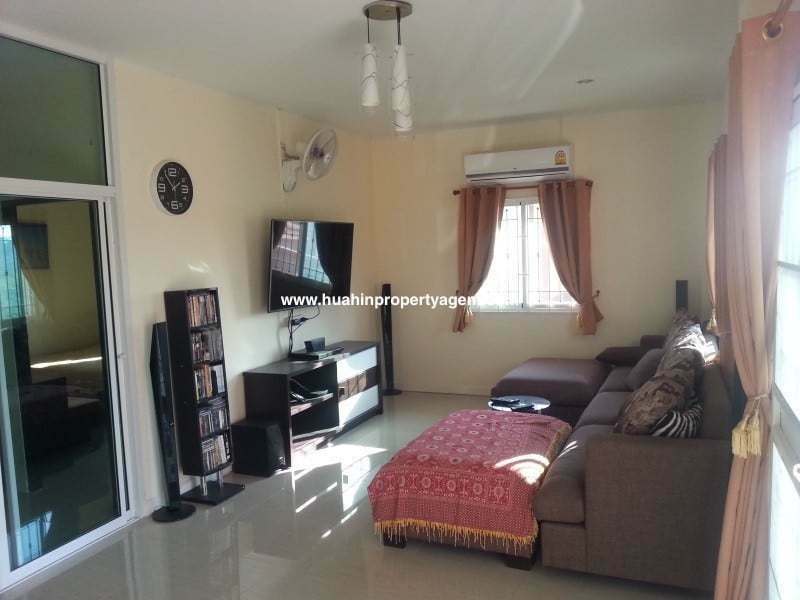 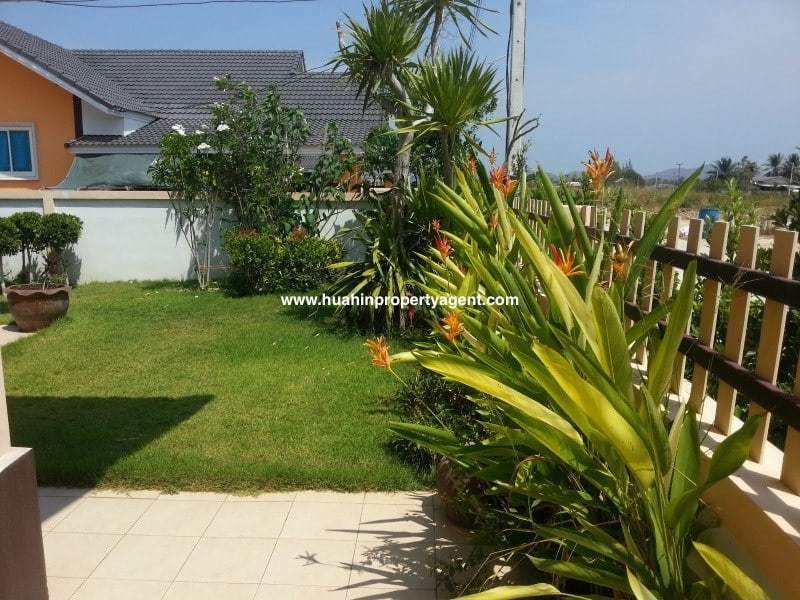 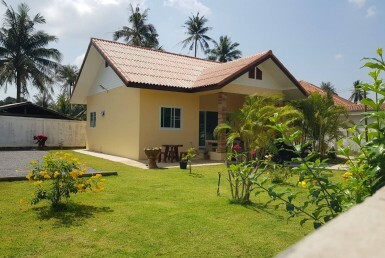 Small house for sale Hua Hin West for only 2.6 Million Thai Baht. 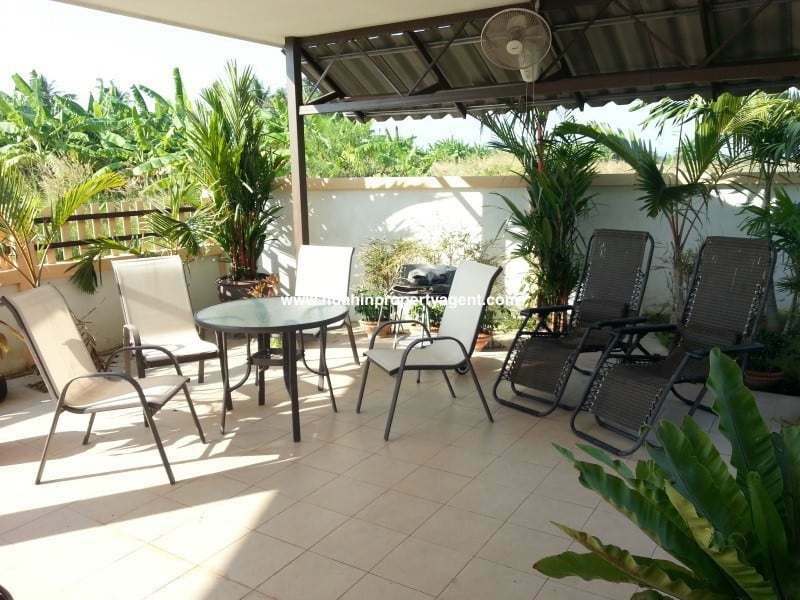 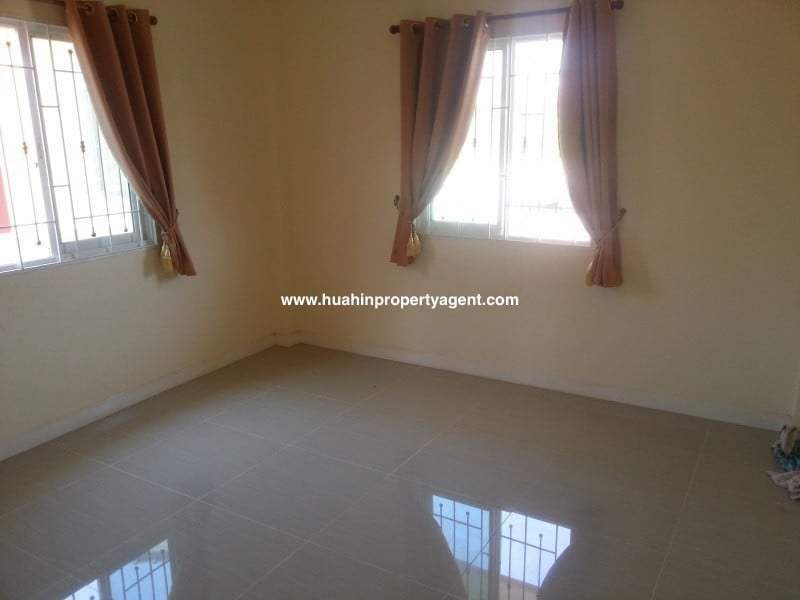 A compact 2 Bedroom and 2 Bathroom home with modern kitchen and open plan Lounge / Dining area. 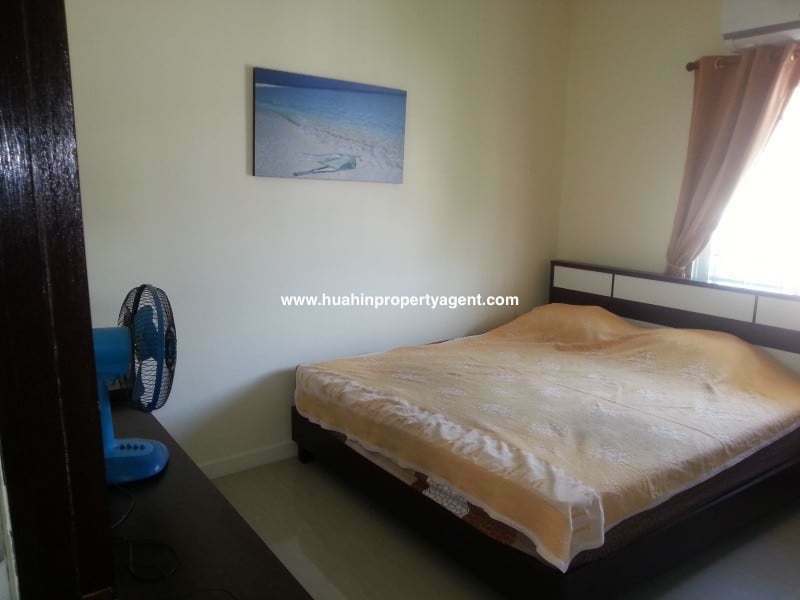 The bedrooms are both large enough for double beds and the bathrooms are nicely finished. 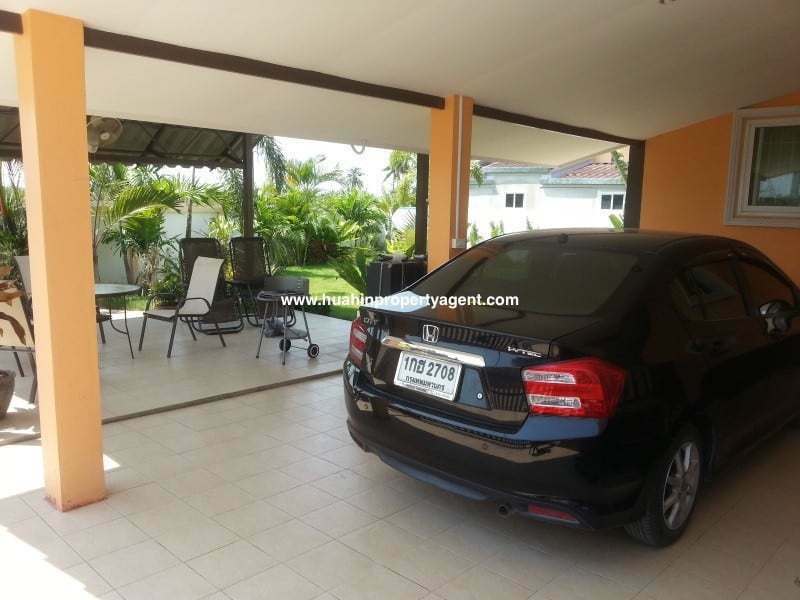 There is a covered outdoor terrace are next to the car port which is useful for dining outside. 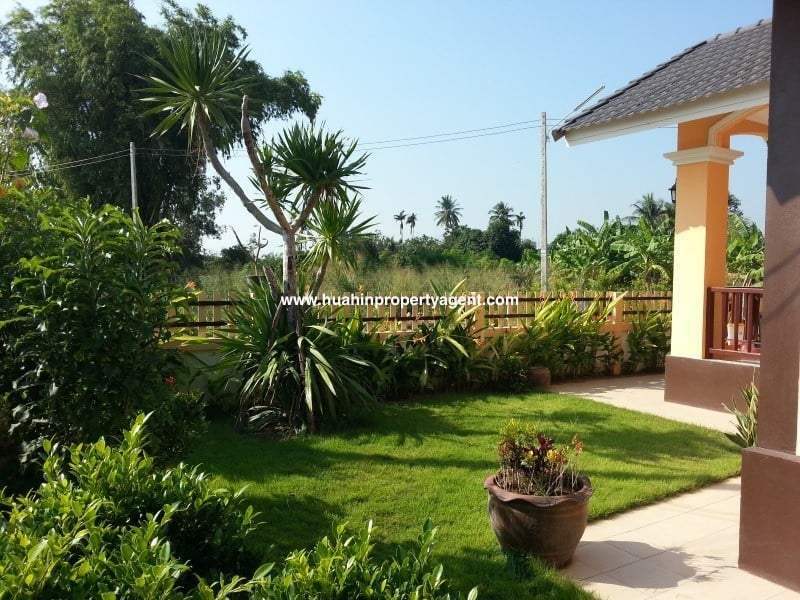 The gardens to the front and side of the house are well kept with many plants and shrubs.